J. Michael Kelly, often known as just “JMK,” is one of the sport’s second most seasoned veteran drivers, now in his 13th year of racing H1 Unlimited hydroplanes. Driving for his fifth team in his career, Graham Trucking Racing, Kelly used all his experience to win one race in 2017 adding his career total to eight*, and placed second in three championship finals. In what many say was the best start since the late Bill Muncey in the 1980s, the quiet and shy Kelly snookered the field in the Tri-Cities, Washington, last season. As three teams fought for the inside lane before the start of the championship final at the HAPO Columbia Cup, Kelly’s risky strategy was to let the other teams fight for lane one. This reduced his competitor’s speeds during the flying start. Often referred to as the race before the race, drivers must calculate their speed and position, crossing the start line as the clock counts down backwards to zero. At full-tilt, pedal to the floorboard, Kelly grabbed lane four and hit the start line right as the official clock hit zero. In doing so, he beat his competitors into the smoother water of turn one on the first lap. The rougher water and slower speeds of the other racers allowed Kelly to win from the outside lane during the five-lap final. It was also the first win for new hydroplane owner Rob Graham and his Graham Trucking race team. 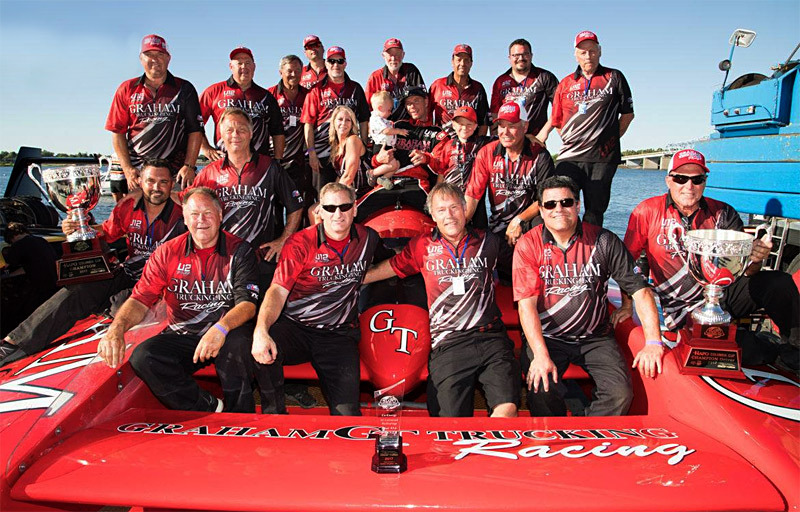 Although 2017 was the first year with Graham Trucking Racing, Kelly is no stranger to his race boat. He has been driving the race boat since 2014, when Ted Porter’s Precision Performance Engineering owned the boat. He also drove the same boat in 2009 and 2010. All but one of his eight race victories have been in the cockpit of this race boat.He also added one non-points win in the 2015 Madison Regatta. Kelly scored his first H1 Unlimited win at the 2009 inaugural U.I.M. World Championship Oryx Cup in Doha, Qatar, and again in 2014 at the last Middle Eastern race. While enjoying the competition at each race, Kelly is most proud to be the winner of the 100th annual American Power Boat Association’s Gold Cup in 2016. Kelly said his goal is winning the H1 Unlimited Hydroplane Racing Series national championship, something he has never been able to accomplish. A fierce competitor, in his first H1 Unlimited hydroplane race in 2004 he had a podium finish placing third. This caught the eyes of his competitors who voted Kelly the 2004 H1 Unlimited rookie-of-the-year. When not at H1 Unlimited hydroplane races, Kelly races inboard hydroplanes and hones his driving skills at the go-kart track. Kelly, who is known to eat just Doritos and Mountain Dew on race day, is a lead carpenter in the Pacific Northwest region. A graduate of Kent Meridian High School in Kent, Washington, Kelly, 39, lives in Bonney Lake, Washington, with his wife, Angela, and sons Brennen, Carson, and Asher. 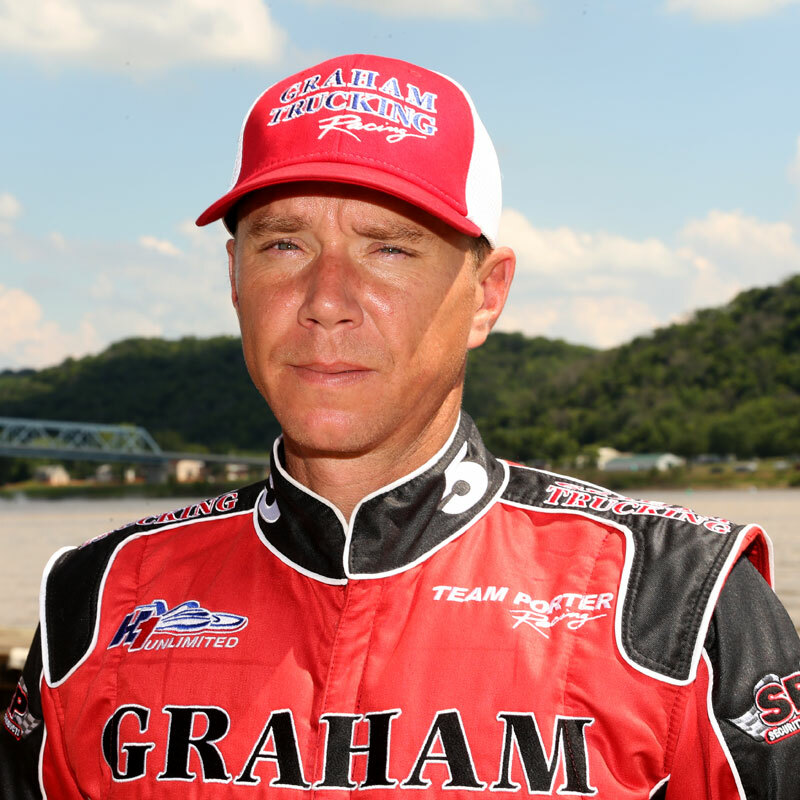 Since 1995, Rob Graham has been one of the most visible sponsors in boat racing. This year, he becomes a team owner for the first time. And he is excited about it. Thirty years ago, Graham and his company – Graham Trucking, Inc. – first became involved with racing, sponsoring one of his employees 2.5 liters then moving into the Grand nationals and finally into the newly formed Unlimited Lights class. As title sponsor of Jerry and Greg Hopp’s ULHRA team, Graham Trucking enjoyed sponsorship success right out of the gates. Graham played a vital role in the UL class until 2008 when the class was broken up. Graham’s history in the sport is deep and famous – particularly in Seattle, where Graham Trucking has, for many years, hosted VIPs and employees in their hospitality area just inside the pits at Seafair. He’s been a long-time sponsor of various unlimited hydroplanes and has been the title sponsor of the Graham Trucking Cup at Seafair, which has featured everything from Unlimited Lights hydroplanes to Grand Prix West hydroplanes, as well as the Formula 1 boats that have raced as a part of the Seafair race card for the last several years. Graham Trucking has also been the title sponsor of the Grand Prix Thunder Cup in Tri-Cities as well as title sponsor of many other local races. Rob Graham started Graham trucking in 1983 and was a driver, mechanic, billing clerk and dispatcher until he had purchased enough trucks and hired enough drivers to support an office staff. Based at the time at terminal 115 in south Seattle Graham was primarily focused on the Alaska barge trade. Graham Trucking was one of the early pioneers of heavy containerized cargo and built many of their own super chassis to accommodate these heavy ocean containers. Graham now has one of the largest super chassis fleets for its port and barge division. They also have refrigerated and flatbed divisions dedicated to “local” short haul for perishables, Seafood and construction. Anderson has been involved in unlimited hydroplane racing as a crew member for over 30 years. Tom’s early years in the sport were spent primarily as a turbine engine specialist for several teams including Mr. Pringles, T-Plus and Miss Budweiser. He first became a crew chief for Ron Jones Jr in the mid 90’s and went on to work with owners Jim Harvey and Fred Leland. 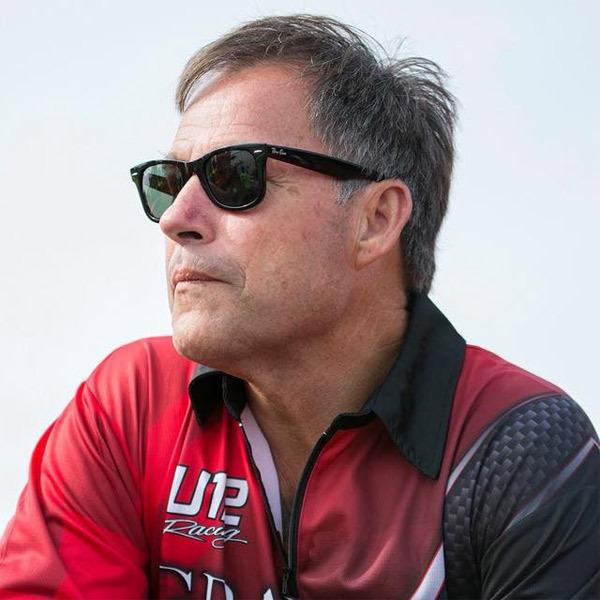 Tom joined Ted Porter’s PPE, LLC team in 2007 and moved to Crew Chief of the U-5 in 2008 where he and Jeff Bernard scored their first victory in only the second race of the season at the Indiana Governors Cup in Madison Indiana. The team went on to be the only repeat race winners in 2008 by capturing the Bill Muncie Cup in San Diego, California. 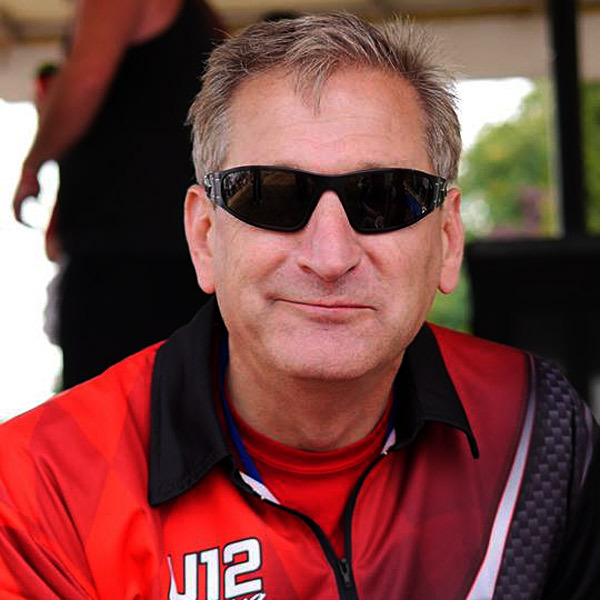 Since 2008, Tom has twice been awarded Crew Chief of the Year and the U-5 team along with drivers Bernard, Jimmy Shane and J. Michael Kelly have compiled an impressive record of 3 World Championships, 1 National Championship and 18 victories, and 1 Gold Cup, making them one of the most successful teams in recent years. Professionally, Tom left full time boat racing in the late 1990s to work in Boeing’s wind tunnels operating the Transonic and Super Sonic tunnels. He has since left Boeing and is a manager for Blue Origin where he enjoys building space vehicles. Tom, wife Kellie and son Brody live in Renton, Wa. Robert Graham purchased his first semi tractor in 1983 and shortly after formed the company Graham Trucking, Inc. He purchased a second truck, then a third, until we had grown to about a dozen trucks. Based at that time at Port of Seattle Terminal 115 South, our main business was barge lines doing business between Washington and Alaska. The company is now based just south of the Seatac airport on 188th. We operate 100 power units and own one of the largest super chassis fleets in the state. While Graham Trucking continues to service the Alaska barge trade, we have expanded our service to include international freight, construction trade, retail supply, distribution, and others. Our customers are construction companies, retail chains, freight forwarders, steamship lines, seafood companies, consolidators, Intermodal companies, produce suppliers, and many others.